Lots of retailers will be offering freebies today for Halloween! 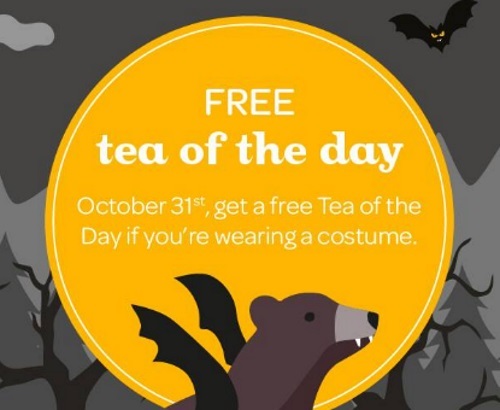 Davids Tea is offering a Free Tea of the Day today when you come in wearing a Halloween costume! Offer is valid on Monday, October 31, 2016 only. No purchase is required. Limit 1 tea per customer. Click here to find a Davids Tea near you.